Why ought we concern ourselves with understanding a concept of evil? It is an elusive and politically charged concept which critics argue has no explanatory power and is a relic of a superstitious and primitive religious past. Yet its widespread use persists today: we find it invoked by politicians, judges, journalists, and many others to express the view that certain actions, persons, institutions, or ideologies are not just morally problematic but require a special signifier to mark them out from the ordinary and commonplace. Therefore, the question of what a concept of evil could mean and how it fits into our moral vocabulary remains an important and pressing concern. 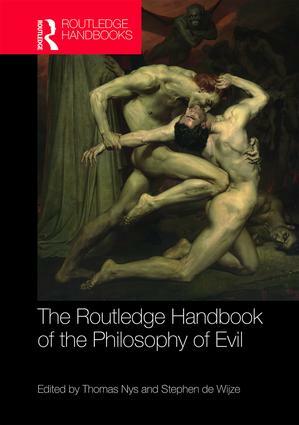 The Routledge Handbook of the Philosophy of Evil is essential reading for students and researchers in the fields of ethics and philosophy of psychology. It also provides important insights and background for anyone exploring the concept of evil in related subjects such as literature, politics, and religion. Thomas Nys is Assistant Professor of Philosophy at the University of Amsterdam, the Netherlands. Stephen de Wijze is Senior Lecturer in Political Theory at the University of Manchester, UK.